When does the forest end? The forest has been around for as long, and maybe even longer, as I can remember. I have always existed in the forest. To my knowledge, there is no other place. Everything I know is in the forest. I do not know how long the forest has been around, so I wonder if it has always been here. Was there something before the forest? Or maybe the forest has always been here, just in different iterations. I could imagine a great deal of different scenarios about where and how long the forest has been. But, regardless of its past, what the forest was before I was in it would not matter. I would admire, respect, and depend on it in the same manner. Where it is going, however, is a different story. I will likely continue to live in the forest for as long as I am a bear, so it is certainly in my best interest to know and understand where the forest is going. What does the forest plan to do in the future? 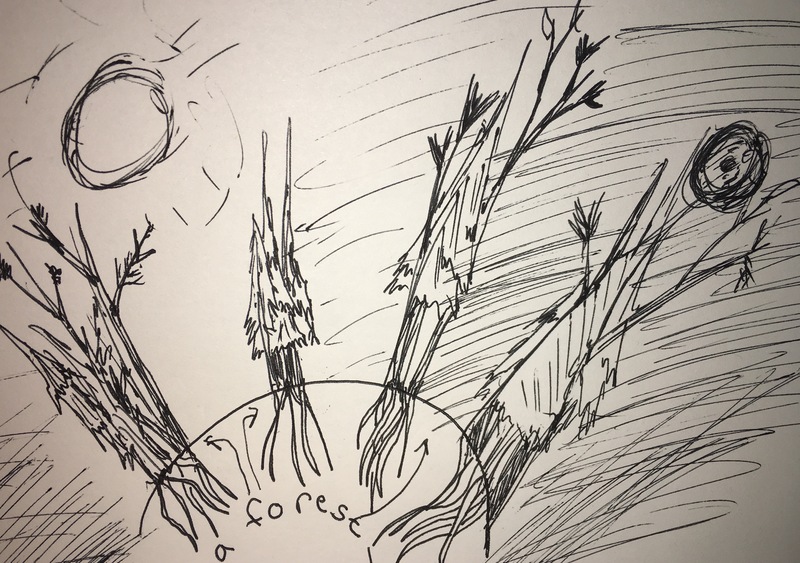 Will it continue being the forest? Will it stop being the forest? Will it invest in a new accessory (like a hat or something)? Will it always be okay with having me, a bear? How will the forest stop being the forest? Is fire involved? The forest never responds to the questions no matter how loudly I growl them at trees. Should the forest decide to stop being the forest one day, I am not sure what I will do. I depend on the forest in just about every corner of my existence. Maybe there are more, though. I have never really entertained the idea extensively, but what if there is more than just the one forest? Maybe I do not live in the forest, but rather a forest. If my forest ceases, perhaps I could go to one of these other possible forests. That poses new dangers and questions, though. Where is it? Is it nice? Does it have snakes? Does it have something worst than snakes (maybe double-snakes, whatever that could be)? What if it stops being a forest, too? For now, I just have my forest and however long it will continue to be a forest. I suppose dwelling on the absence of something that has always been here is useless since, even if it does go away, what would I even be able to do? This entry was posted in Bear thoughts and tagged @a_single_bear, bear blog, bears, blog, ends, everything ends, humor, nature, the forest, twitter on April 17, 2017 by A bear.